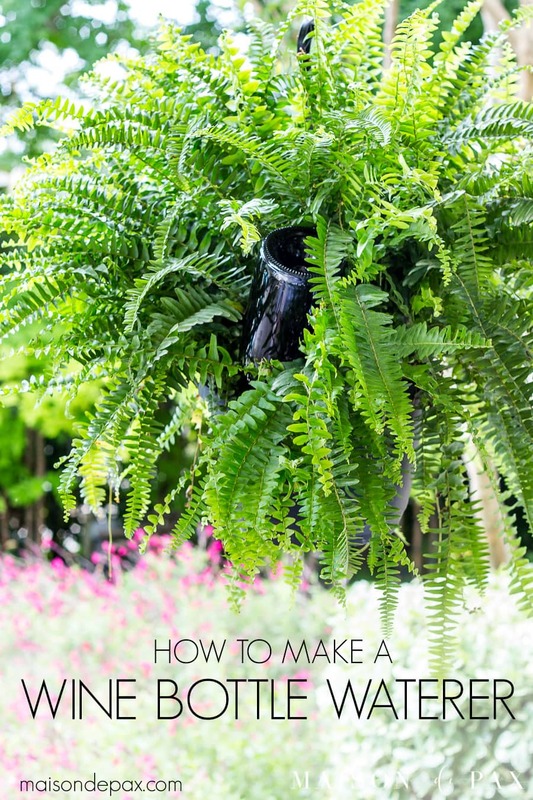 Learn how to make a wine bottle plant waterer to keep your plants hydrated! 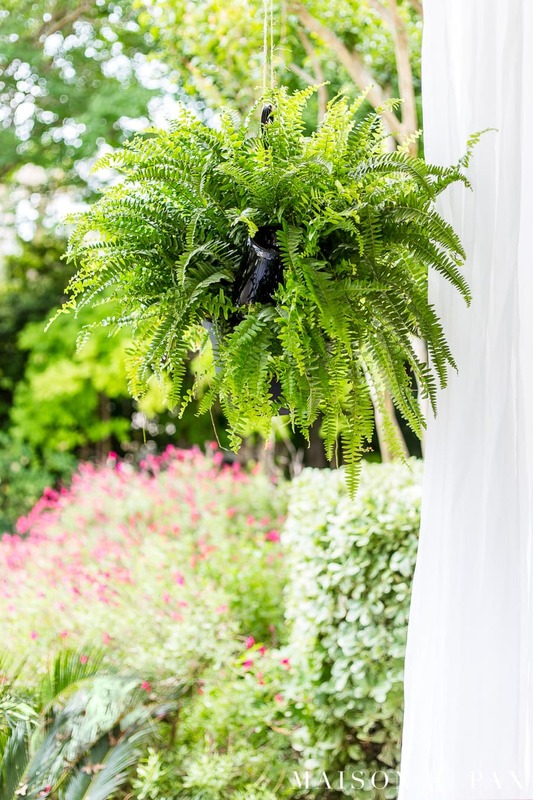 Last spring I decorated the porch with some incredibly beautiful Boston ferns, but being 8 months pregnant, I found it difficult to climb on the step stool to water them… and they very quickly succumbed to the Texas spring and summer heat. So this year, I was determined to find a better way: enter the wine bottle waterer. I still have to water my hanging plants (or at least refill the bottle), obviously, but this gives me a few extra days of grace in case I get busy and forget. And it keeps them more evenly hydrated in between waterings, too. We’ve already had many days around 90 in these parts, and my new Boston ferns are still looking absolutely beautiful. Add our outdoor curtains and a slight breeze, and our patio is at its best. This is not my original idea (I’ve seen various versions floating around the internet for a few years), but I decided to play with all the suggestions and find what works best for my hanging plants. 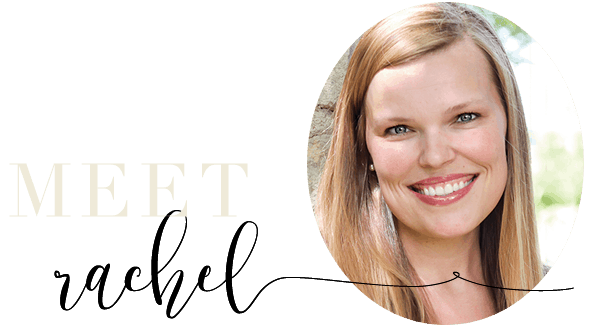 Plus, I wanted to create an easy-to-follow video to make it super simple for you! The great thing about these wine bottle waterers (other than upcycling an old bottle and looking pretty) is that they can be used on any plant. 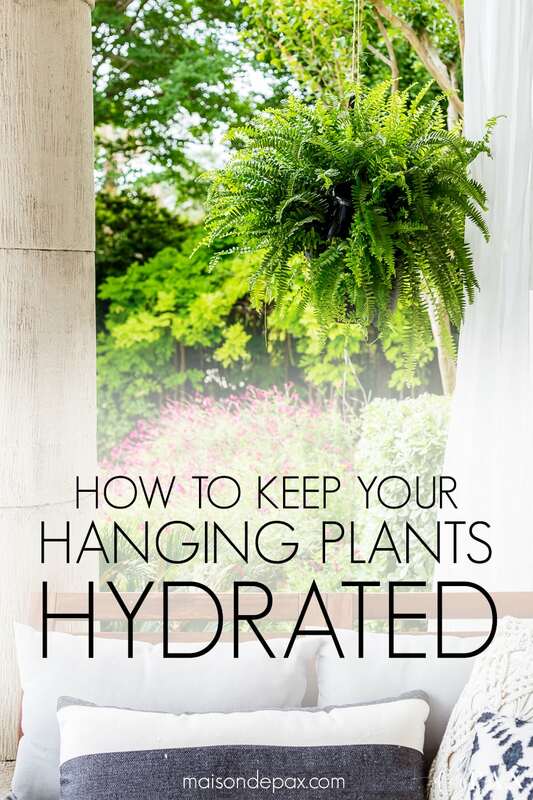 My hanging ones are the most susceptible to drying out (and the most inconvenient to water), but you could use them to water potted plants or even grounded plants if you were going on vacation and wanted them to be extra hydrated while you were gone. First of all, the label removal trick has worked brilliantly on about 90% of the bottles I’ve ever tried. The other 10% must have a different kind of glue or paper or something… If you find you aren’t having any luck with removing the label like that, a good ol’ fashioned razor blade and some goo remover will work just as well. It’s just messier. Or you can skip the label removal step if you like the look! Second, you must have at least two holes in your cork (one for water to come out, one for air to go in), or the vacuum created will keep the water in the bottle. If you are finding that your water is not actually draining into the plants, make bigger holes. 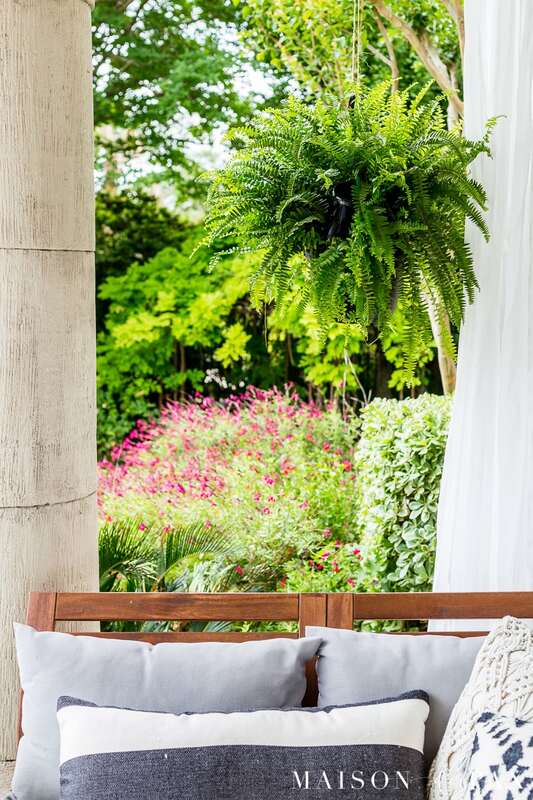 If you have especially dense, well-watered soil to begin with, you can even leave the cork out entirely and let the water just drain naturally into the soil. It can be tricky to get it in the right place so that the water doesn’t drain immediately, though. Bottom line: play with them. But if you have some wine bottles lying around, you’ve got nothing to lose, right? I hope they help you to extend the livelihood of your outdoor plants as they have me mine. Now for an extra special treat, my friend Shauna at Satori Design for Living has organized an outdoor extravaganza with all sorts of fabulous summer ideas and projects! Be sure to visit the other bloggers’ posts below. Thank you so much, Shauna! And thanks for organizing this fun tour!! What a great tip! Love the time saving aspect of it. This is such a great idea!!!! I adore ferns but do not like the tattered look of them when I miss my waterings, perfect solution – thanks for sharing! I feel the same way about ferns, Laurie! I hope it helps you, too! Such a great idea! My hanging baskets always seem to get away on me and dry out on more than a few occasions, so this idea is a brilliant solution! It’s so hard to keep up with hanging baskets; I hope this helps you, too! Thanks so much!! What a great idea!! Your ferns look beautiful too! I could not locate this video on watering w/wine bottle? I’m so sorry you’re having trouble! It should be in the post. If you don’t see it, you might try refreshing the page and/or using a different browser. I hope this helps! I love this! Thanks for sharing. I have some of those expensive terra cotta things to put the wine bottle into. Now I know how to use the wine bottles without one of those. By the way, when the baking soda doesn’t get the label off, try lemon oil (essential oils). I use it with baking soda to get labels off. Brilliant! I love this tip, Claudia. Thanks so much!! I love this idea thanks, it will certainly come in handy, as i travel away from home for short periods of time and can’t usually depend on my family to water. I’m someone who completely forgets to water the plants….as a matter of fact I need to right now! Love this idea! I hope you can make one and it works for you, Stephanie! Need is the mother of invention! Indeed it,s not your idea but it was amazing way to water plants. Lucy, it does work beautifully!